Dinosaurs seem to be everywhere at the moment and rightly so. Nothing gets the three year old out the house quicker than the promise of a dinosaur park in any shape or form. I must admit that us grown ups are children of the Jurassic Park era and love a few oversized reptiles ourselves. 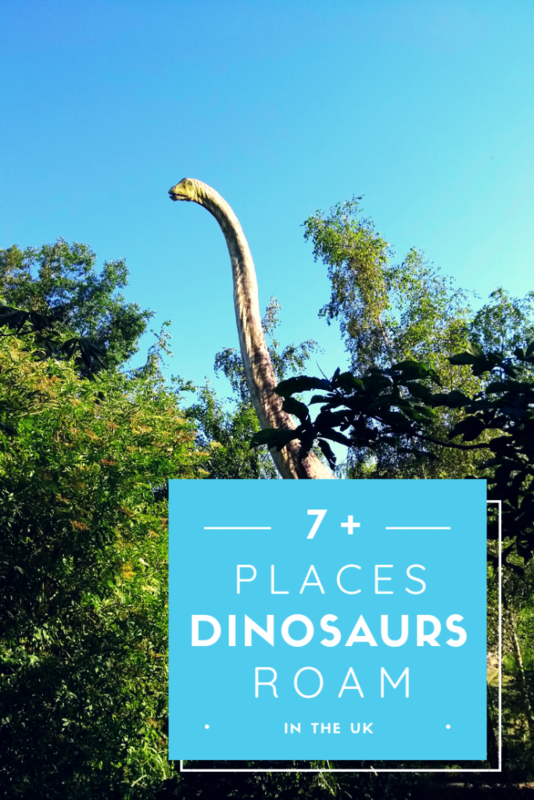 I have put together a list of some of the best dinosaur parks we’ve visited. It’s very a South and East focused list as that’s where we live but I will keep adding more as we visit ones further away. 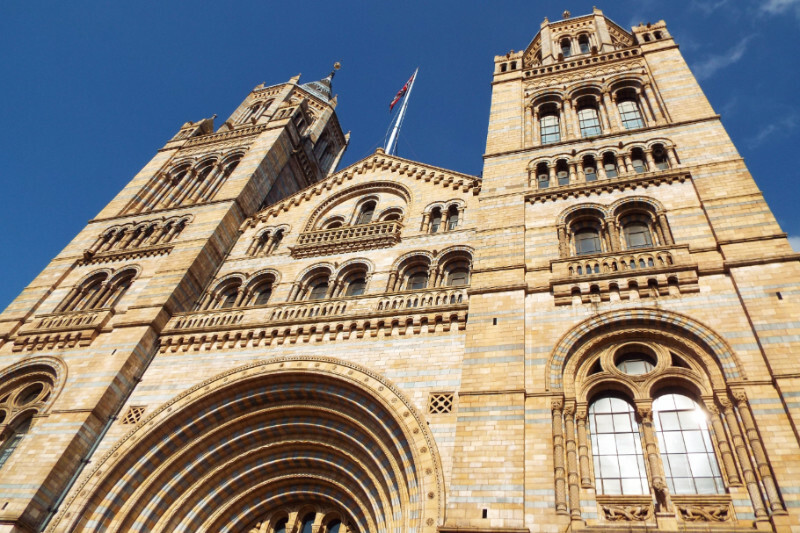 The Natural History Museum is the first place many people head to for dinosaurs. While not technically a dinosaur park, it was the first place I saw an animatronic dinosaur (back in the early 2000s). I was terrified. At that point I was still carrying some post-Jurassic park phobias. They still have the animatronic T-rex that scared me so much as a teenager and it’s still a popular exhibit. If you’re not being pushed through on a wave of school children then the rest of the dinosaur exhibition is great too. The NHM is the best place I’ve seen large scale fossils. There’s plenty of other interactive displays as well. The only thing I have to add is if you go to the NHM for the dinosaurs then stay for the other incredible displays. I have a blog post here with my top 10 things to see. There are two sides to this particular dinosaur park. The first is the awesome dinosaur themed accommodation. 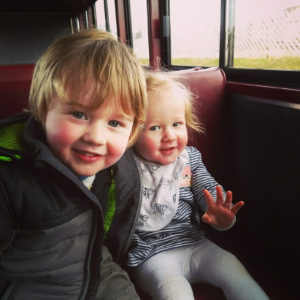 I’ve blogged about it before so have a read if you’re interested in a fun couple of nights away with the kids. I haven’t written a blog about the dinosaur park. It’s on my to do list because it was excellent. The animatronics were by far the best we’ve encountered. 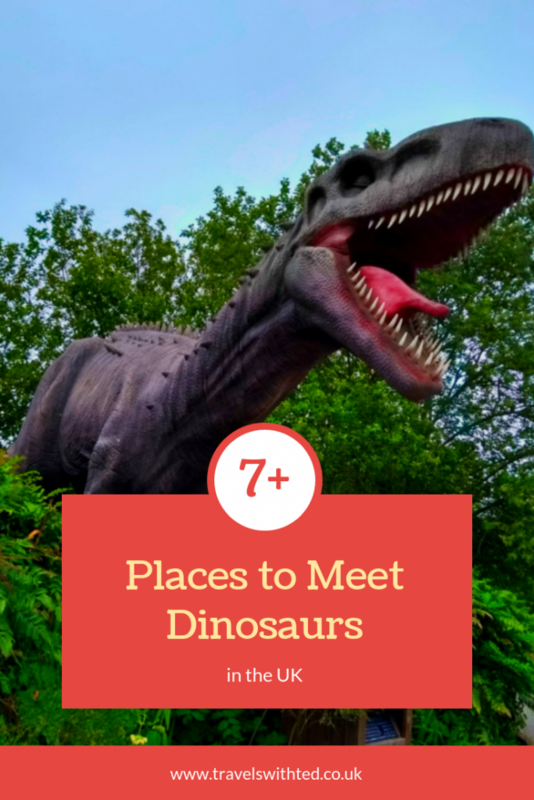 There was lots of different things to do including dinosaurs to ride (check this out on Instagram), an observation tower ride and best of all a river boat ride. The collection challenge was really good too. Ted was given a wrist band and had to run from station to station. At each station he scanned his band to hear clues to tell him where to go next. It was the most fun thing to do. Also part of the dinosaur park is a farm park and while we were there they were also building a giant bug area. When it’s finished, we’ll just have to go back. 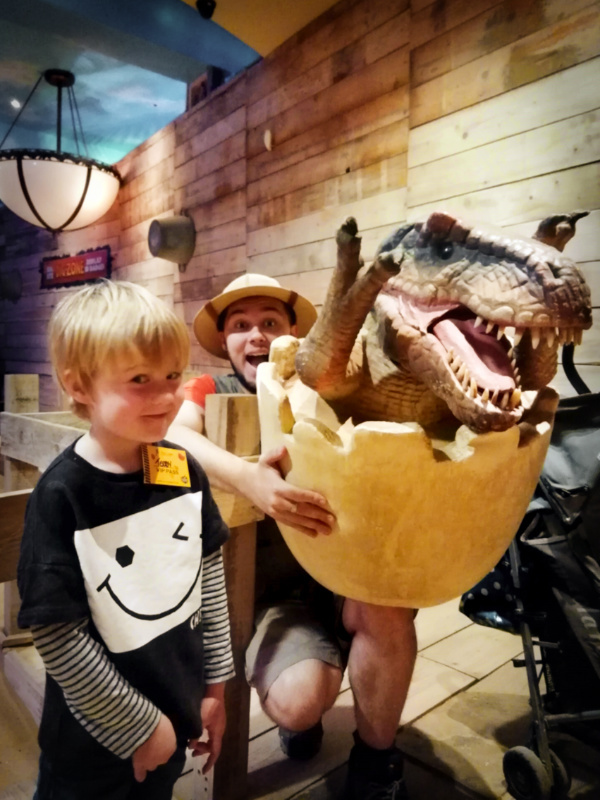 Our most recent dinosaur park was an indoor adventure in Great Yarmouth on the Norfolk coast. I wasn’t sure what to expect as most other places we have visited have long, rambling walks with dinosaurs suddenly appearing as you go round a corner. It was excellent. It’s still fairly new and that was evident in the quality of the animatronics. 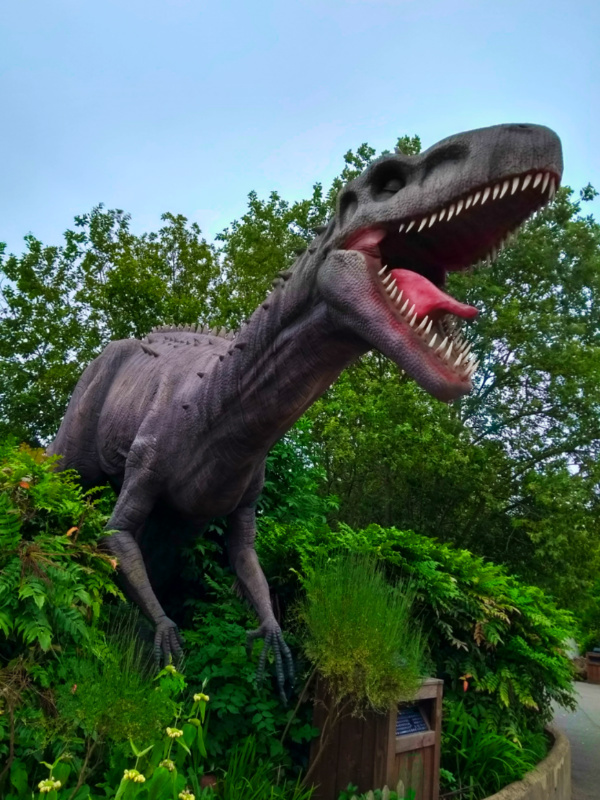 Only Gulliver’s dinosaur park surpasses Jurassic Journey for animatronics. It didn’t take long to get round as everything is much closer together than in the other dinosaur parks but it ended with a decent soft play so we were able to sit down for a bit. The other thing to note was that the staff were particularly friendly which will always improve the experience at any attraction. 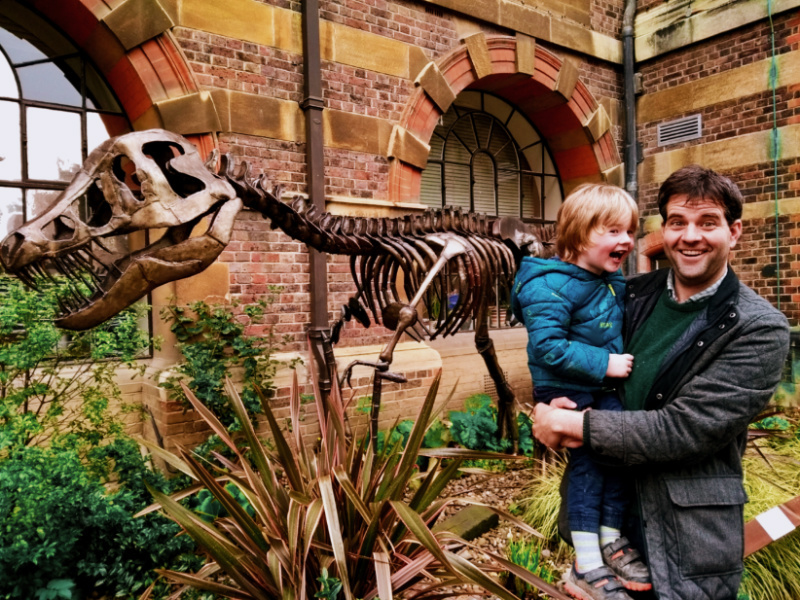 If fossils are your thing (and they are mine) then get yourself along to the Sedgewick Museum in Cambridge. I realise that if you’re reading this and you have young children you have just run a mile. The cases upon cases of small rocks didn’t really do it for the baby either, she was much more interested in banging on the glass. On the other hand, Ted loved it. We did some prep work by getting him to watch Hey Duggee’s Fossil Badge episode several times in the car. I’m still fairly sure he doesn’t really know what a fossil is. That didn’t stop him being fascinated. Seriously though, there was plenty for kids to do even if they only have a passing interest in fossils. There’s some really cool large stuff including a T-rex skull. They also have quiz sheets for older kids and games, puzzles and books for smaller ones. We were there during the holidays and they had extra craft activities on too. I wrote a blog post on our visit. Check it out for more details on location and opening times. David visited with his family sometime in the ‘90s and as you can see from this charming photo, many of the dinosaurs are the same. There’s also a lot of much newer cool stuff. There are some pretty good animatronics on the way in, a huge play area, indoor soft play and fossil dig. We went to Roarr! last September and since then they have invested 1.8 million pounds in a new restaurant and high ropes. Admission to the high ropes is included in the ticket price. However, you have to be over 1m to have a go. I think we’ll have to go back when May is tall enough! 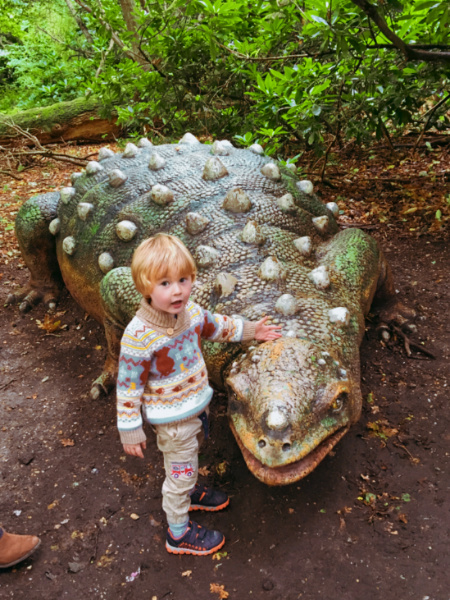 Head to Crystal Palace for the original dinosaur park. The park and palace for which the area is named were built for the World Fair in 1851. The palace is no longer standing but the dinosaurs remain. Dinosaurs were still a new concept in 1851 and it’s fascinating to see how people from the mid-19th century saw them. David and I visited Crystal Palace in the pre-kids era. It’s a surprisingly long journey into the wilds of south London (from central London) but the park is next to the train station. Crystal Palace was somewhere I had always wanted to go. The dinosaur park would definitely be good fun with kids. There was also a maze and the foundations of the palace are still there along with information about the 1851 World Fair. We enjoyed Birdland and Jurassic Journey, which was a surprise. I have blogged about our day our there before. The birds are well worth the visit on their own but the dinosaur trail was also really good. It had an overly complicated stamp trail but that’s standard for a dinosaur park. The fibre-glass dinosaurs were all cleverly arranged along the trail. If you have found this post useful or you want to ask any questions then please leave a comment. Thanks for reading! Oh we love dinosaurs. I don’t think people every outgrow a fascination with them. Great round up.